Watch this (EVS) video of me explaining through the JV Contest. * To qualify for the main JV Leaderboard prizes affiliates need to send a minimum of 400 signed up leads to the prelaunch sequence (3 videos). With this, you’ll also be in the running for a slice of the $9000+ prizes available during prelaunch week (8-14 Jan). Click here to access your affiliate swipes (email, Facebook and blog) for the first prelaunch content piece due tomorrow Tuesday, 8 January. So we are down to the wire. Josh has officially switched off the sales page for Easy Video Player, and traffic that normally would have gone there now is redirected to www.EasyVideoSuite.com. We have now moved into the EVS era. To qualify for the main JV Leaderboard prizes affiliates need to send a minimum of 400 signed up leads to prelaunch (8-14 Jan). 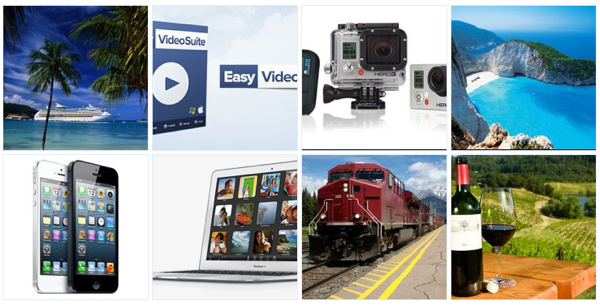 You must be signed up to the EasyVideoSuite JV Blog. You cannot SPAM in any way. You will not qualify for JV contest if you offer cash rebates, discounts or payback to your subscribers. Launch starts Tuesday 15 January and ends Tuesday, 22 January @ 11:59pm eastern. Physical prizes can be exchanged for cash equivalent. All prizes will be awarded after the full 60-day refund period, including split payments if applicable. On Saturday, 19 January we introduced a split payment option for EasyVideoSuite. This is a limited time offer for customers and Webactix reserves the right to pull the offer at our descretion. Must mail to sales page only. Must make absolutely sure customers understand it is a split pay option. Split pay sales contribute 1/3 point to sales Leaderboard tally. If sales go over our “standard performance ratio” measurement for refunds, we reserve the right to discontinue and cancel split pay and not count sales in contest and to disqualify any affiliate from participation in the contest. To qualify for FULL leaderboard prizes it must be for “completed sales” before full prizes are awarded. “Completed sales” means after 60 day refund period following the final payment or split payment received. Webactix reserves the right to remove the split pay option at any stage. This is a time limited offer. 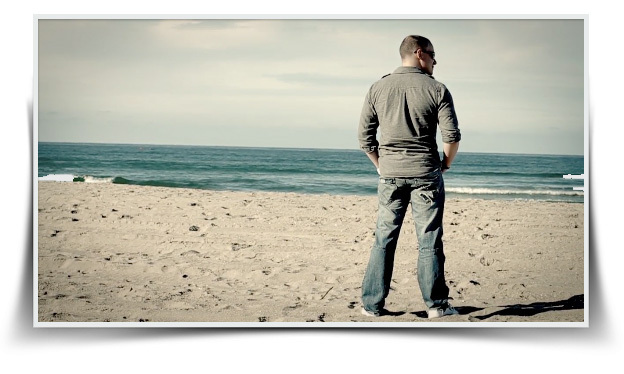 We are down to the wire and just 2 days away from the EasyVideoSuite prelaunch. From Tuesday, 8 January we are running a JV affiliate contest with thousands of $$dollars of prizes up for grabs. How it works, is on Tuesday the first of 3 videos will be released as part of a carefully crafted prelaunch buzz building sequence. 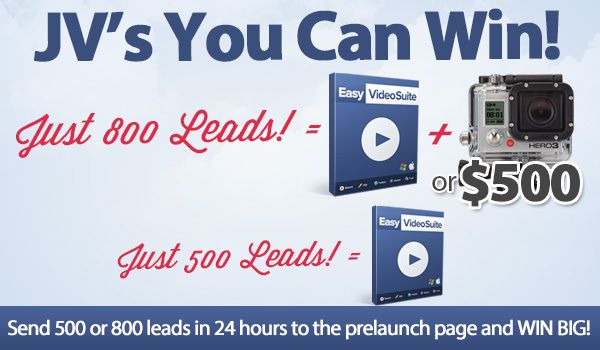 The EasyVideoSuite prelaunch is designed to educate, pre-sell and CONVERT your leads. Many affiliates make the mistake of leaving promotions until launch day. If you mail often during prelaunch, not only will you win GREAT prizes, you rack up your lead count which will all be worked on by us, with our expert follow up, to ensure they convert into sales on launch day, and cash for you!! What you need to do is to drive your subscribers, fans and followers and customers to the prelaunch optin page and when they sign up you have a chance to qualify for the prizes below. Simply mail out, send leads and get AWESOME prizes! (Between 8-14 January) ANYONE can win! Prelaunch runs from Tuesday 8 – 14 January which means there are 7 prize packages available worth over $6,000 just for daily prizes! Each day we will announce via email/blog post what that day’s prize will be (e.g. 8 January will be EasyVideoSuite (Commercial License) PLUS an iPhone 5 (16gb) phone and all you have to do is mail to be in with a chance to win! This EVS party begins in just 2 days from now – Tuesday, 8th of January. Look out for Josh’s next email which will include more Demo Videos and Affiliate Swipes that you can use for your campaign. We are extending out the “Best Comment and Win EasyVideoSuite Contest”, so please share why you love EasyVideoSuite and how it will benefit your business. At the time of preparing this blog post we have 46 comments between the 2 other “Walkthrough” blog posts. Some have written super hero poems, some recorded videos and some heart-felt comments on how EVS will solve your video publishing problems. Okay a lot going on here – its back to my EVS lab. 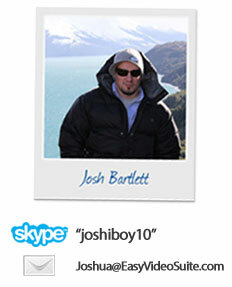 If any of you want to reach out to me directly my Skype and email is listed below. This is a suite-tastic launch!! 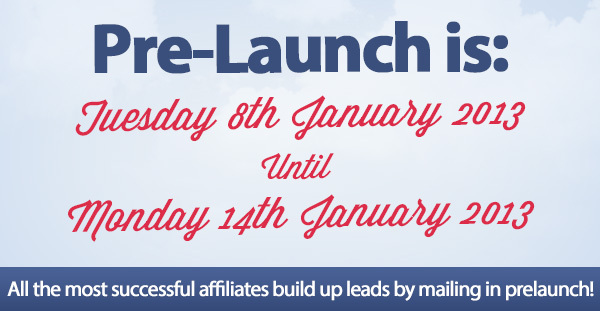 Prelaunch starts Tuesday 8 January and ends Monday 14 January. Physical prizes can be exchanged for cash equivalent at our discretion. We reserve the right to revoke access to digital prizes should you not meet our minimum traffic behaviour expectations. All physical and cash prizes are awarded after the 60-day refund period. The best affiliate competition ever? Damn right! Check back here for regular updates on competition results and prize announcements. Daily prize announcements will also be made here. Our leaderboards will be updated LIVE, to give you immediate feedback on your standings so that you can CRUSH the competition with your promotions!